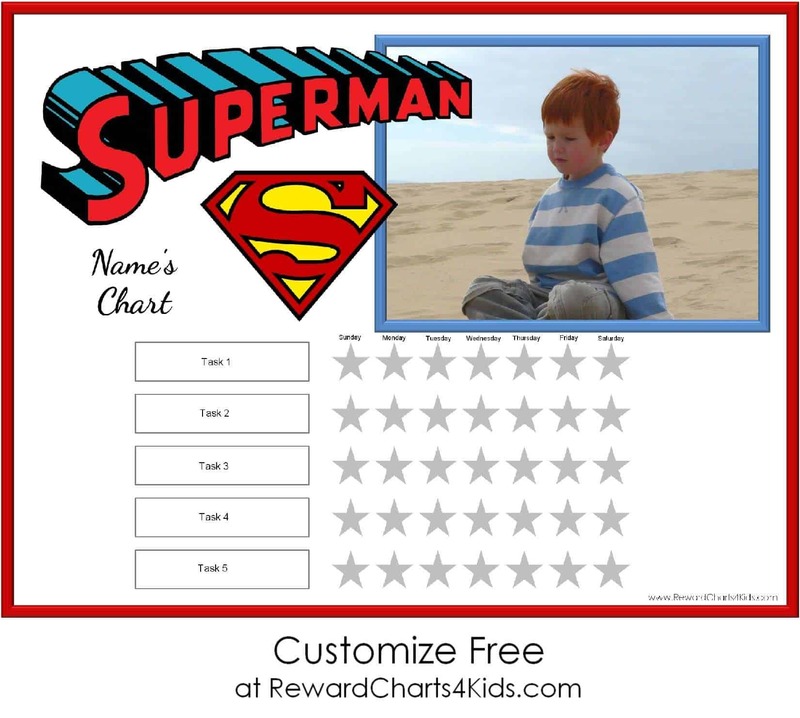 Free printable Superman reward charts for Superman fans. You can add your own photos and text to some of the charts. 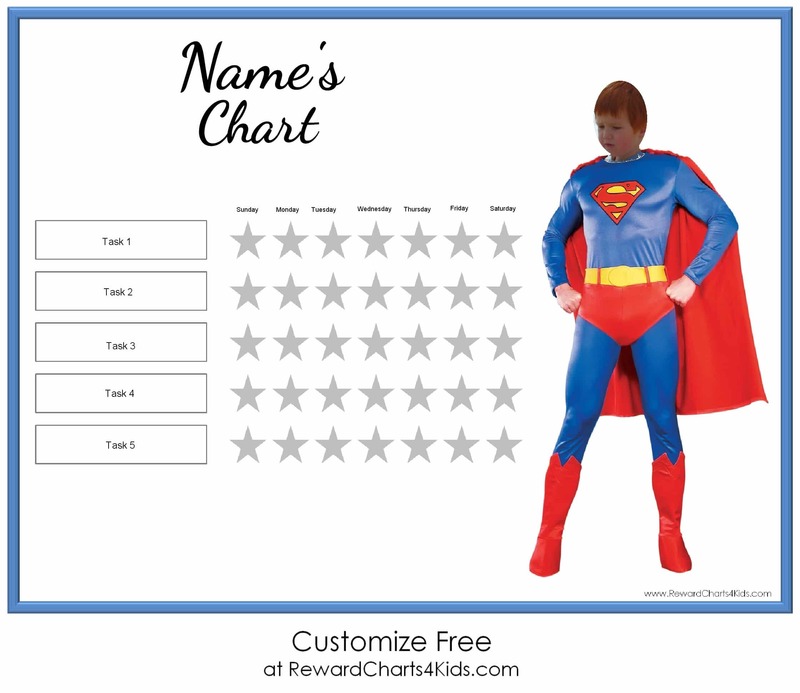 This chart enables you to add your child’s photo to Superman’s body. Once you have uploaded the photo you might need to enlarge it (by pulling on the arrows on the bottom left corner) until the face fills the entire area. You can also move the photo around so that only the face is showing. It only takes up to a minute to make this personalized chart (besides filling out the list of tasks which might take a little longer). This is a weekly behavior chart with a Superman action figure. All text can be customized so it can be used for many purposes. 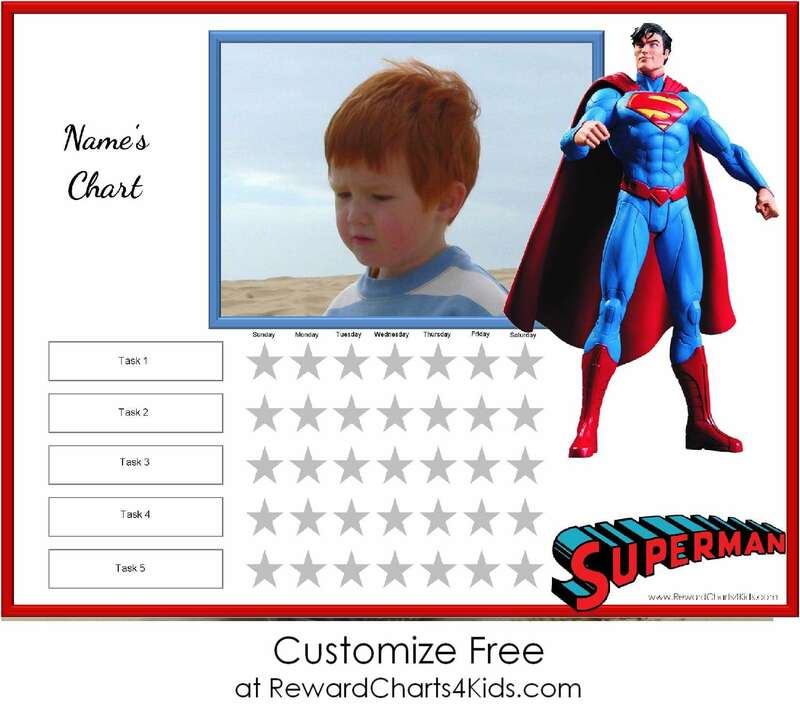 This reward chart has a photo of your child with the Superman logo (shield). One of the advantages of using a reward chart is the opportunity for your child to work toward a goal. He will get to experience how good it feels to work toward something and finally reach his goal. This helps build self confidence and ambition.